Summertime is the best time to be on Hilton Head Island as people are more enthusiastic than ever to get out and take part in the area’s local events. Wherever you’re staying on the island, you won’t want to miss the 30th anniversary of HarbourFest — the biggest ongoing event of the season. 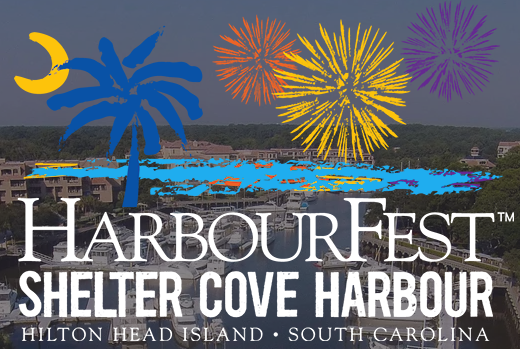 HarbourFest lasts from mid-June through mid-August and is held at Shelter Cove Harbour & Marina on Hilton Head Island. It is a weekly celebration during the summer (every Monday – Friday) with live music featuring Shannon Tanner, entertainment from Cappy the Clown, art & crafts and activities for kids. Tuesday nights during HarbourFest you can enjoy fireworks featuring a spectacular show that lights up the summer night sky. There is no admission charge for HarbourFest. This family-friendly event has been enjoyed by thousands of visitors for the last 30 years! Entertainment from Shannon Tanner and the Oyster Reefers will be playing an island-inspired live concert featuring all your favorite island tunes as part of Parrot Palooza. Concerts are 6:30 p.m. & 8:00 p.m. on May 28 – August 31 (Monday – Friday), Saturday & Sunday May 26 & 27 and September 1 & 2. May 28 – August 31 (Monday – Friday), Saturday & Sunday May 26 & 27 and September 1 & 2. A breathtaking display of fireworks lights up the sky on Tuesday nights. Don’t miss the special Fourth of July fireworks show that offers a vibrant extravaganza of light over the harbor.This year’s 2018 fireworks schedule follows.